Northline specializes in construction for medium and light transmission lines. The disciplines include installation of all types of foundations, lattice structures, steel and wood pole structures, and the installation of conductor wires, fiber optic ground wire and fiber optic cables of all types. Northline is experienced in upgrading existing transmission lines, both energized and de-energized. Our highly trained IBEW transmission crews are experienced with the construction of transmission lines in all types of terrain with minimal or no access. Our transmission line construction team is dedicated to preserving the environment during all phases of construction and has an outstanding track record of installing lines in environmentally sensitive areas while minimizing the impact. Northline is experienced in material management on projects and has developed processes to control free issue client material. Northline's specialized live-line team has the ability to safely and economically re-conductor and rebuild existing energized transmission lines at any voltage. 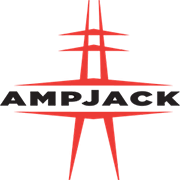 Our innovative energized re-conductoring/rebuilding techniques eliminate costs due to right-of-way acquisition, line switching, grounding, and outage scheduling while maintaining important wheeling and trading revenues. Hotstick, which is an insulated tool, enables our crews to move conductors, install fuses, or ground wiring without interrupting power. Barehand technique employs specially-designed protective gear that permits the direct handling of live lines by equalizing the potential between the worker and the line. In 2015, Northline was the first to invest in the diversify robotic arm which gives us further options to work on an energized line. 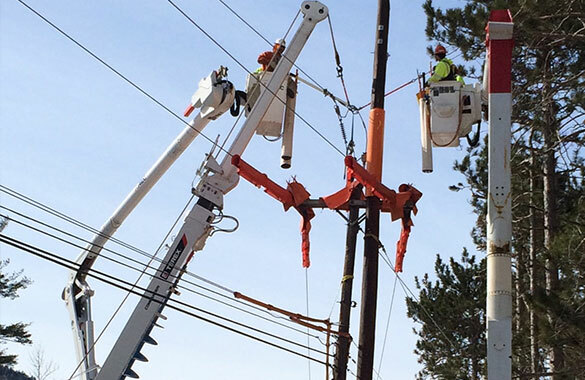 Northline has carried out all aspects of distribution work for utility companies and municipalities. We are experienced in long-term unit contract alliances, and have developed successful unit tracking processes to help manage these projects. Northline has carried out multiple make-ready works for cable and communication companies. 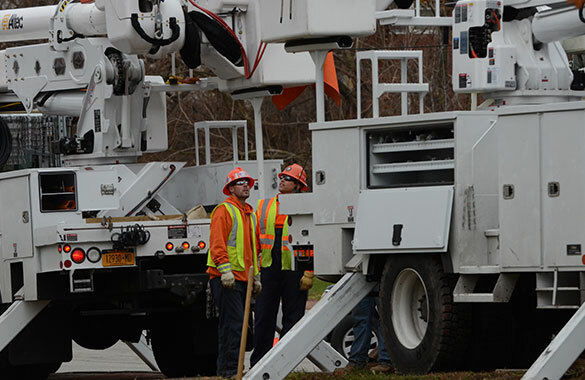 Northline is very experienced in providing resources to storms, and has sent crews to all the major storms in the Northeast over the past several years including Sandy. Northline has formed a number of alliances where additional resources can be sourced from, including suitably qualified staff from Canada. 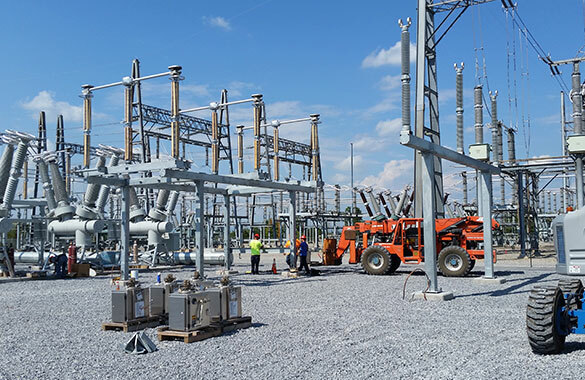 Our experienced substation team allows Northline the ability to perform every stage of sub station work from site preparation to full functionality, including control wiring, equipment testing and bus welding. With our expertise and the resources available to us, we can complete any sub station Construction Project on schedule while meeting all of our customers' expectations in terms of quality and safety. We are aligned with professional engineers to design and meet the standards of utilities across the country. Northline has undertaken various underground projects including underground residential distribution, cable splicing, street lighting, and manhole works. Northline is able to provide long term maintenance to private owned utilities. Northline owns a majority of their own equipment and are able to hire certain items. Northline has experience with wind and solar farm construction and are able to meet the demands of the changing energy market. 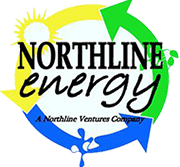 Northline is an owner-operator of a hydro facility. This has enabled us to understand the market and provide operation models for other customers.